Thursday 11. 10. 18 Back in the studio again and I’m trying to finish up some old ones and have started 2 new ones. It feels good. 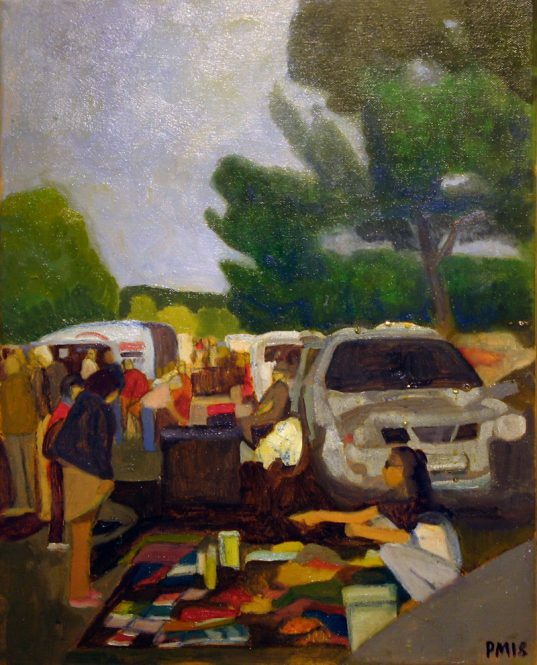 The is the flea market held every Sunday in Clermont.